It’s only right that my first Blonde One short Dartmoor walk should be in my favourite part of the moors. Park in the car park at the top of the Dartmeet hill SX681733 and head north to Yar Tor. This is a nice flat tor with a spiral shelter cairn on top that kids love. It gives amazing views across the valleys in most directions. From here you could go down to try to find the stone row which is very well hidden in the bracken. Let me know if you manage to find it! Cross over the road to find the memorial to Penney, a soldier who died during World War One. The inscription “look up and lift your heads” is perfect, given the views. 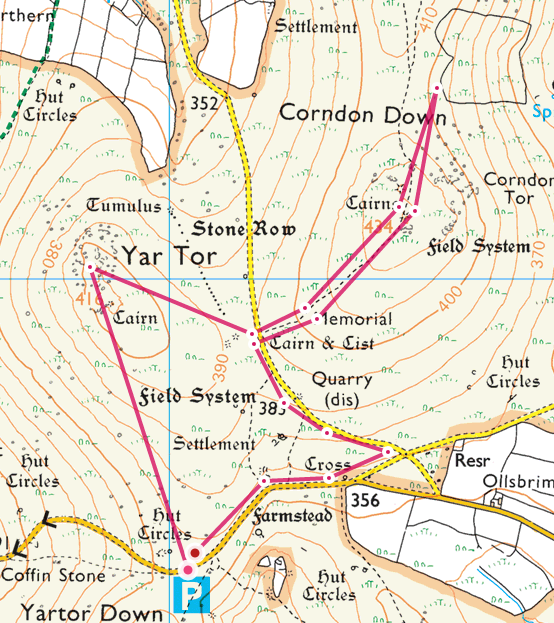 You can return to the car from here or head north east up to the cairns on Corndon Down. If you want a further extension to your walk you could have a look at the field boundary system on Corndon Down that looks like a loaf of bread! But that would mean this short Dartmoor walk would probably more of walk than a short walk. 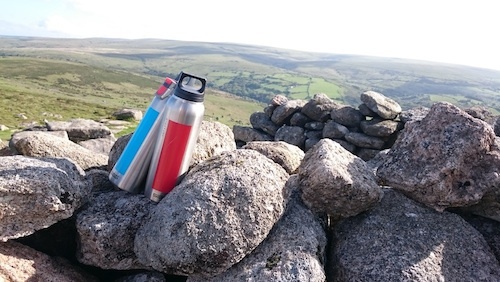 Once you have enjoyed your short Dartmoor walk and after returning to your car you could head down to Badger’s Holt at Dartmeet for a cream tea!